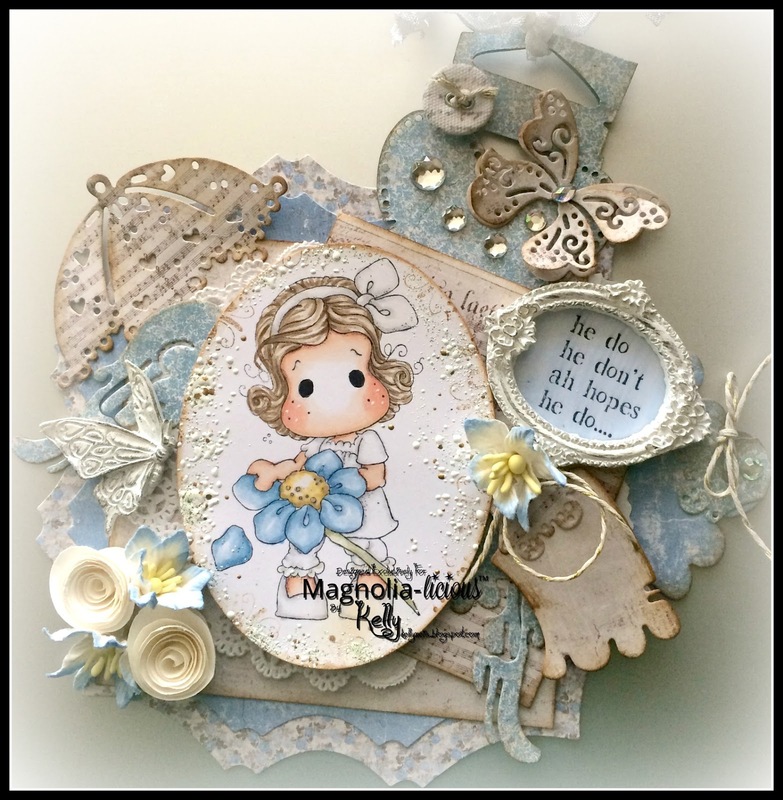 THE BEAUTY OF PAPER: Magnolia-licious Challenge "Bingo"
Hello and welcome to my blog today! I want to share the last card I made before our house fire. We are moving to a semi-permanent apartment home while they rebuild the insides of our home. At least we can cook and have our dogs with us. Our hotel has been so nice, the people are awesome but it is time to have a somewhat normal lifestyle. I am cataloguing everything piece by piece in our home to replace our things. Pretty much everything is a loss, the smoke damage is taking its toll on things. As I went through papers and trinkets, I was amazed at how much soot is lingering in between pages or in tiny creases. It is inside containers that you thought were tight. This is a learning experience for us. 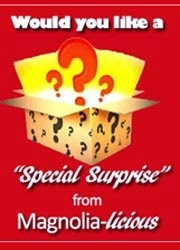 On to the Magnolia-licious Challenge Bingo! 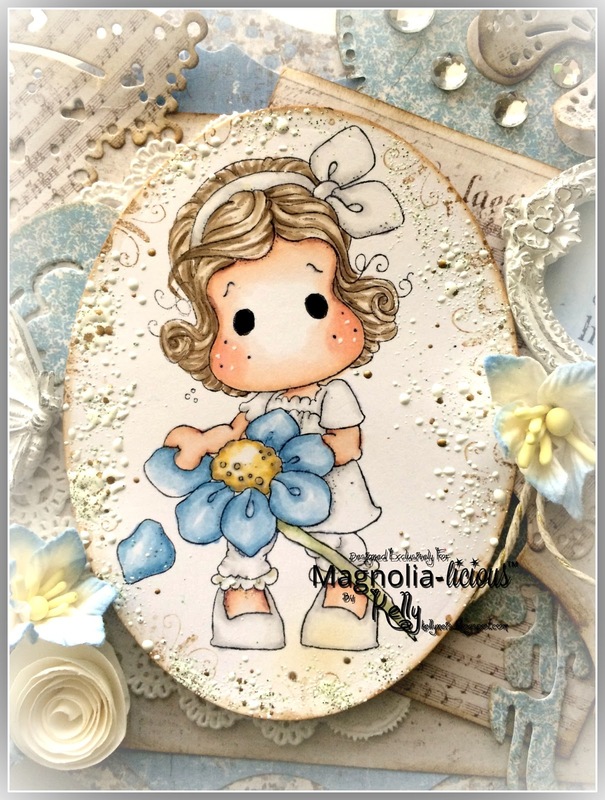 I used Loves me, Loves me not Tilda, she is currently unavailable at the store but just ask Diana and she will tell you when it will arrive back in stock. She is colored in Copics and Frantaged in shabby white around her after inking the edges with Distressed Ink. 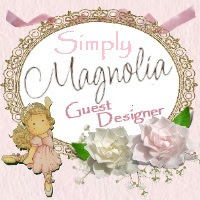 My dies are from Magnolia doohickeys, the resin butterfly is from Prima and Kort and Godt flowers on the bottom corner. 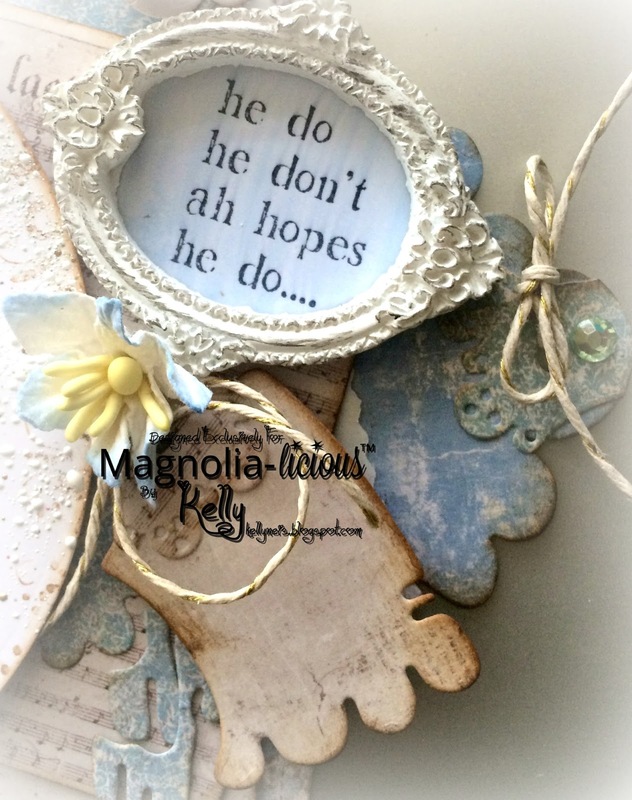 2 magnolia doohickey tag dies and a Prima resin frame for the sentiment that goes with Tilda, they are sold as a set. 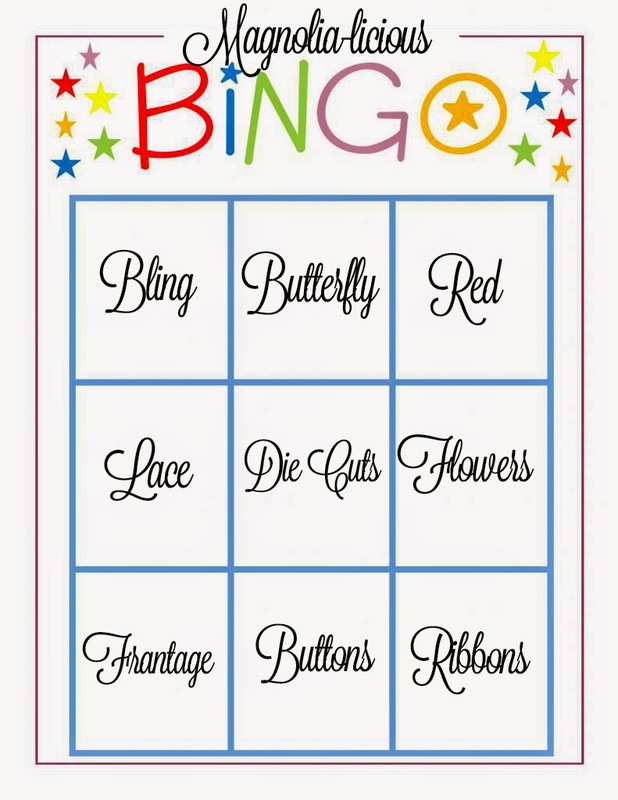 Here is the Bingo board and I die Butterfly, Die Cuts and Buttons. 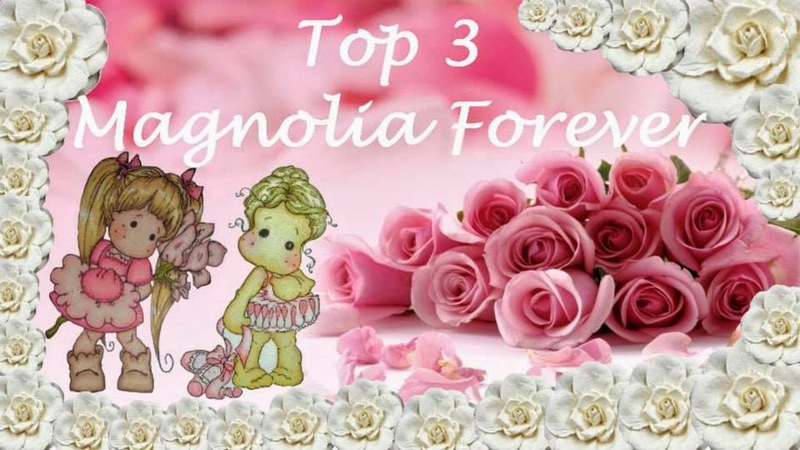 Come and join our challenge at the Magnolia-licious Challenge Blog and you will have a chance to win a Special Surprise from the Magnolia-licious store when you follow the rules and theme of our challenge. 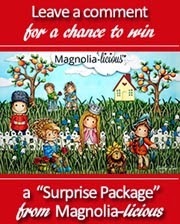 For your chance to win a "Leave A Comment" Surprise Package Prize from Magnolia-licious, there is a weekly random draw. All you have to do is leave a comment--the more you comment the greater your chances. Thank you for your comments, have a beautiful day! This is beautiful Kelly. I have this image on my wish list - she is adorable. Love the gorgeous design which is beautifully embellished. Lovely to see you blogging through the tough times you are having. Must be so nice to have the space now rather than a hotel room. 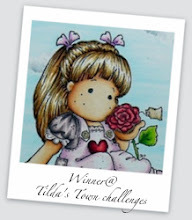 Your card is gorgeous, I always love your wonderful colouring! That little sentiment is just so sweet too! This is gorgeous Kelly! 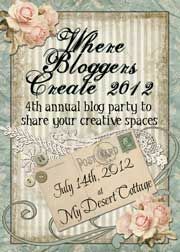 I love the image and of course you know I like your layering style... so pretty! Fab use of the Frantage too... I love that stuff and remember the first time I ever saw anyone use it was you. What a beauty!!! 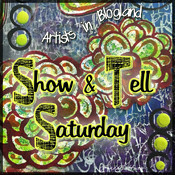 You sure know how to combine all the lovely dies, colors and of course embellishments! I'm so happy that your life is moving in a positive direction. Please email me your new address when you get some time. I think of you all the time and wish I lived a whole lot closer. Beautifully made as always - you know how fast time goes by and you will be in your new/old house before you know it. Sure wish I could make such fancy cards!!! Stunning! Love Love this beauty. The colors are perfect. The Prima resin frame is really gorgeous ! Your card is stunning ! Blue,white and brown. These are beautiful colors together. I love that you used so many dies. The textures in the card really bring it all together. Thank you so much for the update. I'm sure by now you're sick of relocating, but I'm glad to hear that you've had such good help so far. Your return to normalcy sounds like a good thing, where you're going, just sad to hear that so much was ruined from smoke, We just another who's home and items were a total loss and the cause was the dryer. Cripes!! Got my vacuum out and sucked the you know what out of the lines! Your card though is beautiful and aside from all the traditional wowzer stuff you add, I LOOOVE that sentiment you've framed...LOL. So stinking cute!! Big hugs to you Kelly. This is gorgeous!! The image is adorable!! Love the butterflies and your color choice. 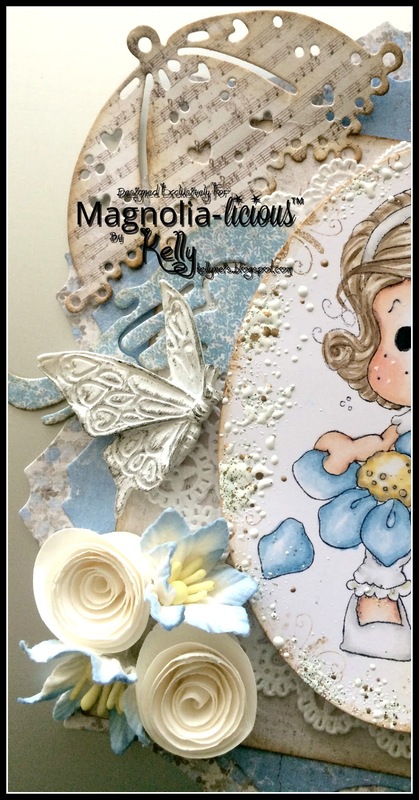 This is absolutely enchanting, Kelly - such delicate colours and fabulous layers. The embellishing is perfect - and that little parasol is adorable. I'm so shocked and sorry to hear about your house fire - you must be absolutely devastated. How awful to have lost so much, even things you thought were protected. My heart goes out to you.